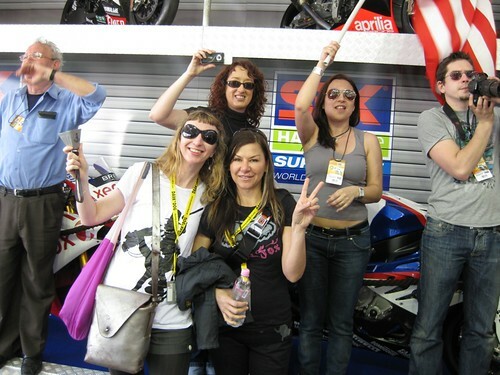 This entry is filed under Travel and tagged spain, travel. 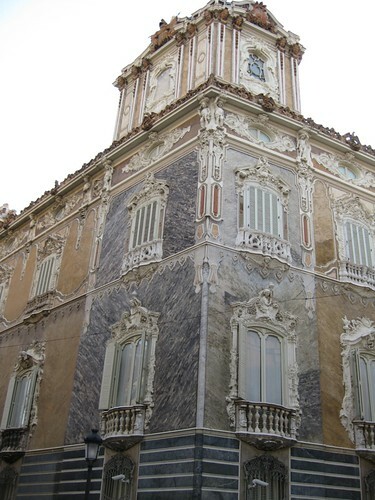 Palace of the Marques de Dosaguiaus, originally uploaded by pinkyracer. This is the cozy little palace next to the fabulous hotel Britt found for us. So gorgeous I couldn’t even bring myself to close the curtains on it at night, despite it being lit up like Christmas. more pix of it on flickr. This entry is filed under Travel and tagged france, travel. pool, originally uploaded by pinkyracer. 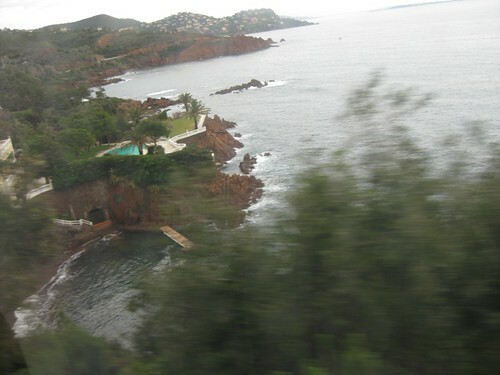 The train from Nice to points west is a fabulous place for daydreaming. The best view from any train I’ve ever been on, even the ones under Manhattan. graffiti, originally uploaded by pinkyracer. is gorgeous! 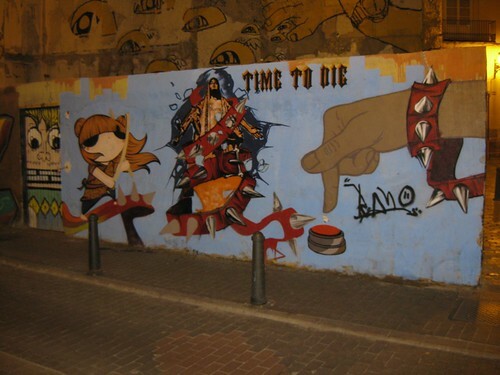 Used to have even better graffiti in Barcelona, but it’s all gone now. So sad. 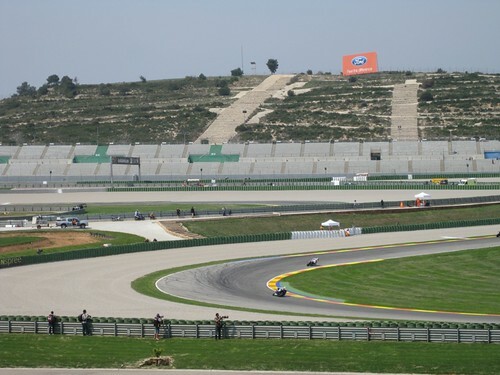 This entry is filed under Ride Reports, Travel and tagged barcelona, motorcycles, motorcycling, travel. Wow! So I’m catching up on my horoscopes, and this is amazing. I actually followed Brezny’s advice without even realizing it. The dogma was that I am too cool to ride a scooter. I finally relented and rented one (with a nudge from Britt, if she hadn’t suggested it, I might not have done it). And what’s changed about my worldview is that I can actually enjoy getting from point A to point B even though I am the slowest guy out there. While some of you have survived being passengers in a car driven by me, none of you know what goes on inside my helmet at a red light. I filter to the front, thinking nasty thoughts about what a bunch of tools these cagers all are, especially the idiots in North Carolina who honk at me as I neatly cut through the lanes. Losers. And I am appalled beyond belief at just how excrutiatingly slowly people pull away from a light, especially in North Carolina. In Barcelona, of course, people drive the way people should drive the world over. Fast. No dilly-dallying. So I thought I would need to be on my fast bike to enjoy riding here. But I’m on the slowest thing ever, and I’m actually digging it. AND I actually arrive calmer because I’m not freaking out over how slow everyone is the whole way there. I’m glad that Pythagoras’ dogma was shattered because everyone knows mere numbers can’t provide the ultimate truth about reality. pffft. impunity. The brilliant theorist couldn’t deal with the threat to his dogma. reality are limited, and incorporate the new data into a revised worldview. travel press!, originally uploaded by pinkyracer. Yeah, you’ve got your Swiffer deluxe that changes the pads by itself before you even realize they’re dirty, and your iPod nano with 10 terabytes and an app that actually finds you the coolest new music faster than the band can even record it. Whatever. Those pale in comparison to the coolest extension ever. 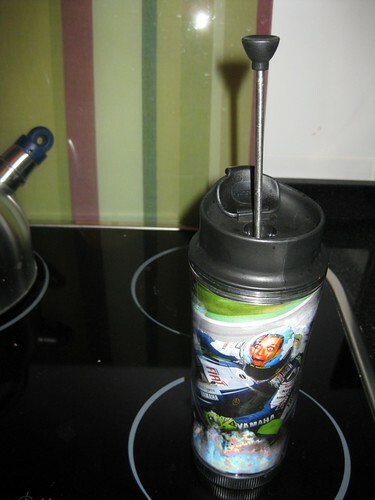 3- It’s a travel mug, and not just another BS “only works in a car” travel mug either. This bad boy can be shaken, upside down, and still retain all it’s contents. Which means it might even survive 30 minutes in the trunk of my motorcycle. I’d duct tape the spout for extra security, but just to keep it shut. the seal on it is airtight. I have been exploring the full line of Bodum ever since I got sick and tired of replacing the damn glass every time I brushed it against a pillow. I guess I’m not the only one who got sick of those fragile things, because the Bodum store in Paris (and their website as well) has a lovely selection of metal and plastic presses. This entry is filed under Uncategorized and tagged paris, social marketing, travel. 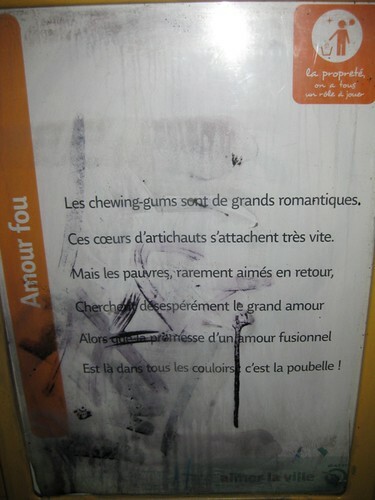 chewing gum, or "I heart Paris", originally uploaded by pinkyracer.